Reference : Sear-114. RSC-Lucretia 1. Size : 17.5 x 18.9 mm. Weight : 3.84 grams. Obverse : Helmeted bust of Roma right, the denomination marks X below her chin, and TRIO behind. 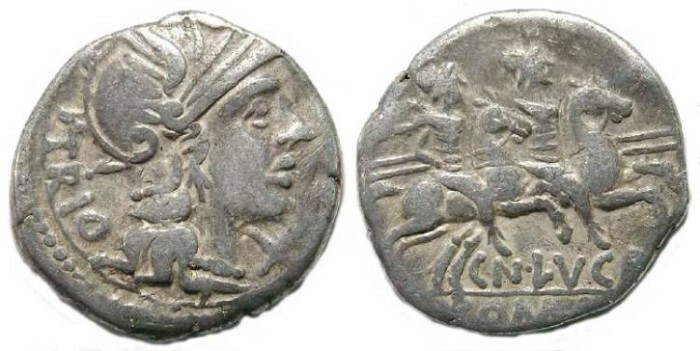 Reverse : The Dioscuri riding right each holding a spear, with CN LVCR and ROMA in two lines below.